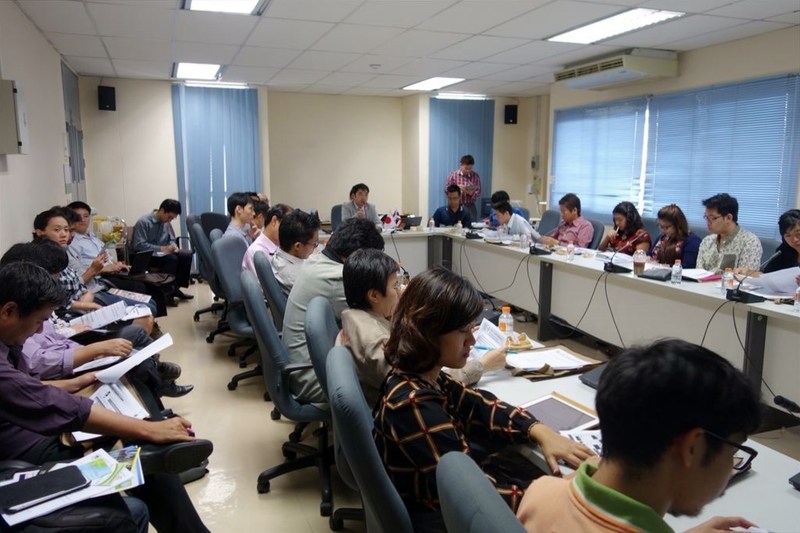 JSPS Guidance Seminar was held in KMUTT on July 18, 2014. The university is ranked as 50th in THE Asia University Rankings 2014, as a result their globally highly cited publications. Asst. Prof. Dr. Anak Khantachawana, Assistant to the President for International Affairs opened the seminar, encouraging researchers to challenge JSPS fellowships. 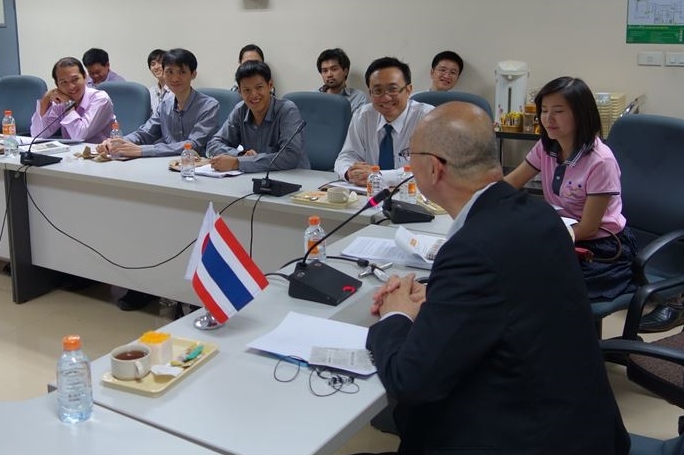 Then, JSPS Bangkok office explained fellowship programs and joint research programs. Dr. Pitch Sutheerawatthana, fommer JSPS postodoctoral fellow talked about his research experience in The University of Tokyo. Dr. Pitch explained his research experience in Japan. 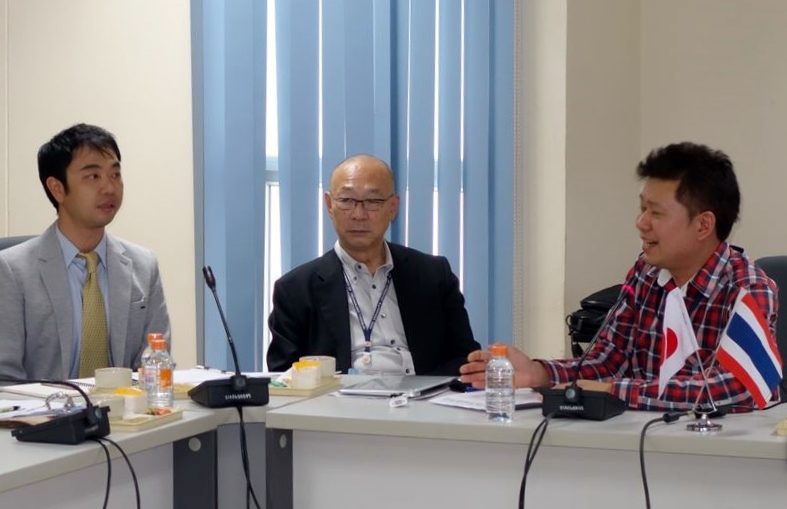 Prof. Seki Tatsuji, Academic Advisor of KMUTT made a presentation titled “Key Points of Application” as a Japanese researcher who has supervised young overseas researchers for many years. He explained several important points for application: to evaluate your research achievements by yourself, to find out cuttiing-edge research themes, to write a concise proposal in order to appeal to Japanese host professors and the screening committee. Prof. Seki adviced how to write application to KMUTT’s researchers. Participants are highly concerned with research collaboration with Japanese researchers and universities and seeked more information about bilateral joint research program and Core-to-Core program. 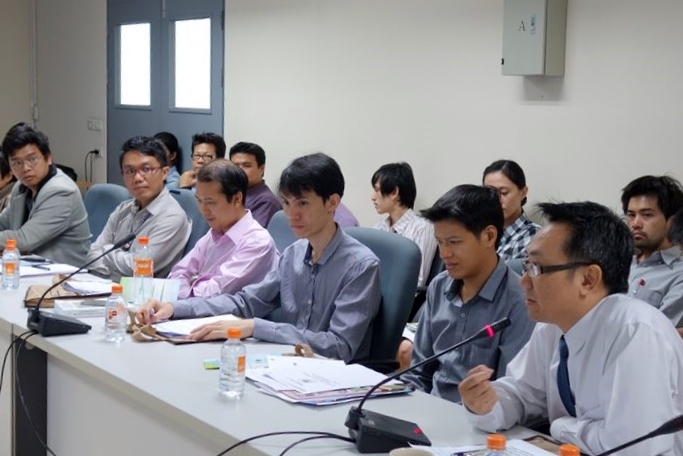 Dr. Anak and Prof. Seki advised them that KMUTT could help to find counterpart researchers for them by making use of network with Japanese universities. 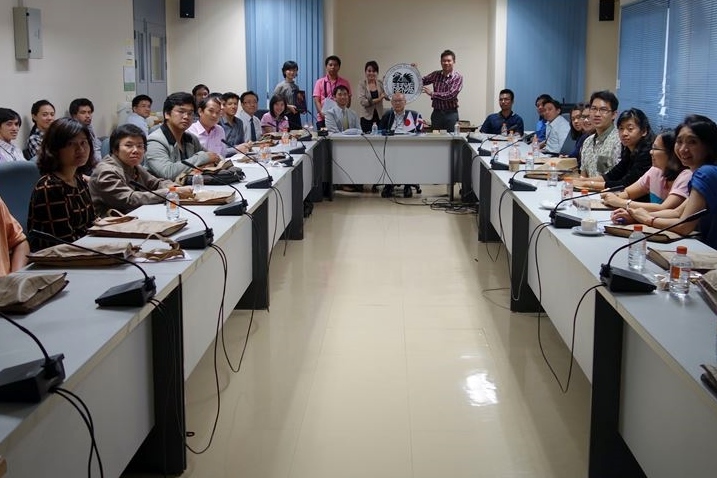 Suppured by THE ASIA University ranking’s high evaluatioin, KMUTT has aimed to strengthen their research activities. Asst. Prof. Dr. Anak (right side) encouraged young researchers.